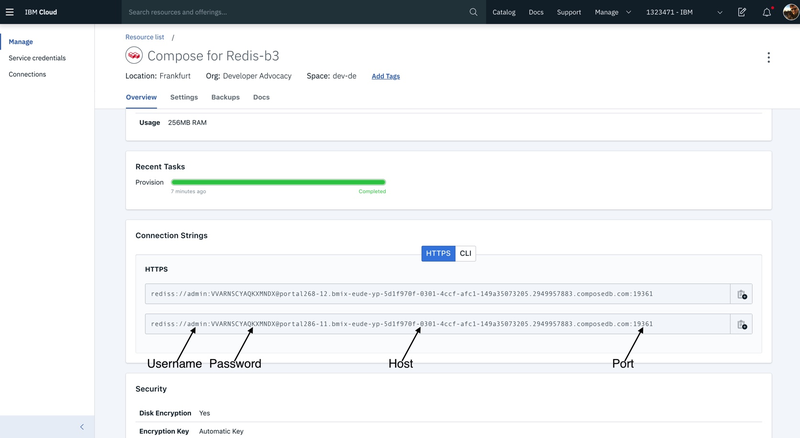 In this tutorial, learn how to access a Compose for Redis caching service on IBM Cloud from a Spring Boot application. Redis is a popular open source in-memory database implementing a networked, in-memory key-value store. Spring Boot is a popular library that offers an opinionated take of the Spring Framework that allows for the rapid development and deployment of production-ready Spring applications. Log in to IBM Cloud, and go to the Catalog. Under Database, select Compose for Redis. Click Create to create the service (the defaults should be fine). 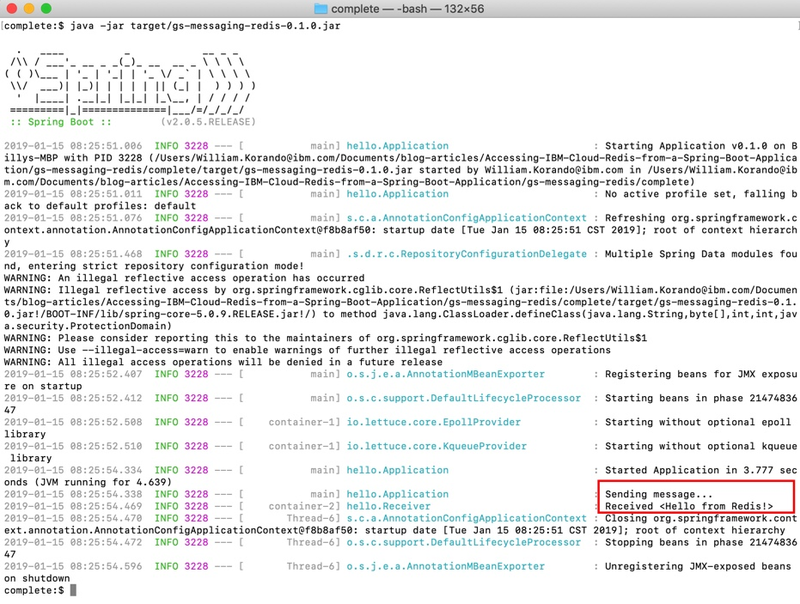 It’s that simple to create a Spring Boot application to access a Redis service on IBM Cloud! In my next tutorial, I’ll show you how to run the app on an IBM Cloud Kubernetes cluster using Kubernetes secrets to configure the service credentials. Learn more about Redis Redis is an open source (BSD licensed), in-memory data structure store, used as a database, cache and message broker. Learn more about Spring Boot Spring Boot makes it easy to create stand-alone, production-grade Spring based Applications that you can just run. Spring Framework The Spring Framework provides a comprehensive programming and configuration model for modern Java-based enterprise applications on any kind of deployment platform. IBM Cloud Sign up for an IBMid and create your IBM Cloud account. Download Apache Maven Apache Maven is a software project management and comprehension tool. Prebuilt OpenJDK Binaries AdoptOpenJDK provides prebuilt OpenJDK binaries from a fully open source set of build scripts and infrastructure. Spring Project Guides These guides are designed to get you productive as quickly as possible – using the latest Spring project releases and techniques. Spring Guides This guide walks you through the process of using Spring Data Redis to publish and subscribe to messages sent via Redis. Messaging with Redis This guide walks you through the process of using Spring Data Redis to publish and subscribe to messages sent via Redis.